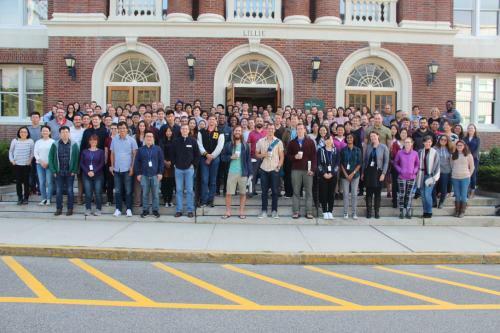 The 2018 MCDB retreat at Woods Hole was a great success, with fascinating science talks, professional poster presentations, entertainment provided by our second year students, and a special announcement from Faculty Member, Craig Crews! Thanks to our organizers, Josien van Wolfswinkel, Nadya Dimitrova, and David Breslow for putting together a great program. Thanks also to our MCDB business office staff for all their behind the scenes help to make the event a great success. Congratulations to Ben Akhuetie-oni, Jennifer Sun, Shanique Alabi, Allison Wing, Felix Radford, Mahmut Demir and Clara Liao for winning poster prizes! We invite you to view our photo gallery of the event by clicking here. If you have photos that you would like to add to our gallery, please send them to mcdb.communications@yale.edu.